A trip to Scarborough with Hull Nats on Sunday. We drove through the freezing fog over the Wolds but it was sunny at Scarborough, and it didn't feel as cold as its sheltered kept the breeze at bay. 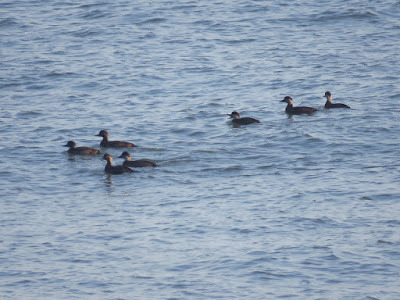 After assembling by the Rotunda museum we moved on to the Spa are for some sea watching. 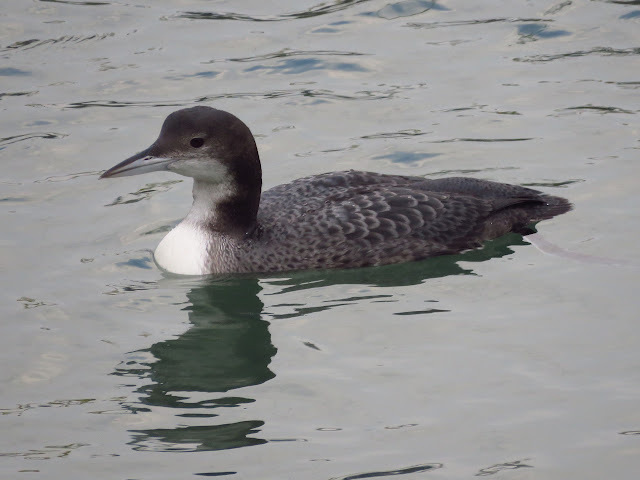 With the help of Andrew Ashworth and his telescope, we managed to see a Long-tailed duck, a distant Great Northern Diver and some Shag fishing together and Common Scoters. 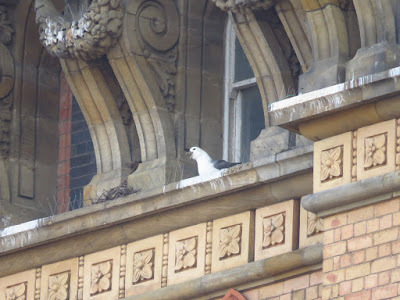 A Med gull was spotted by Robert on the way to the harbour. 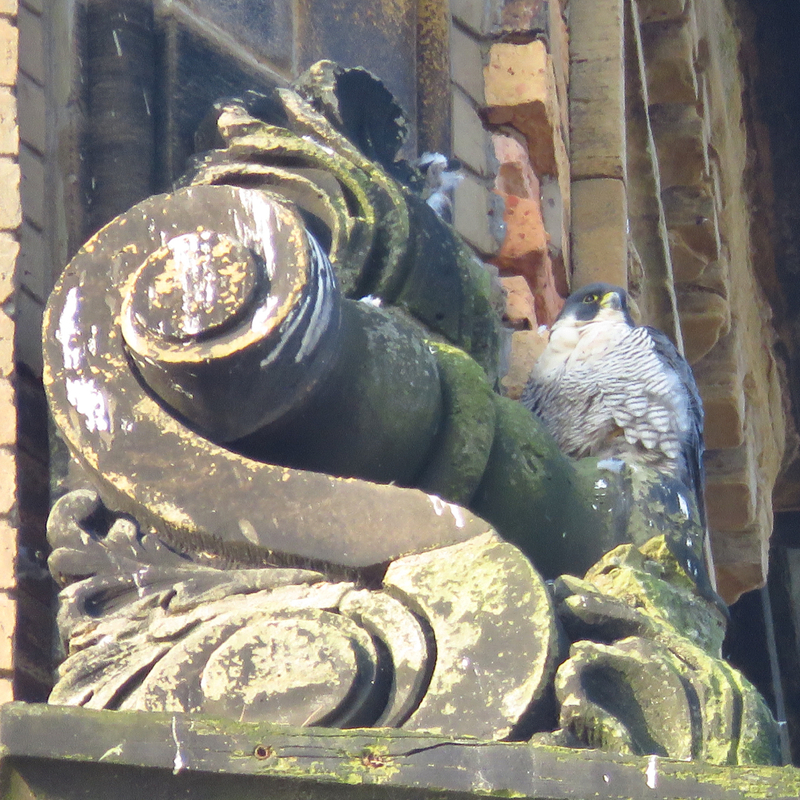 We quickly had a Peregrine in flight, which stopped by the side of the Grand Hotel, where we quickly located it sitting near its partner. 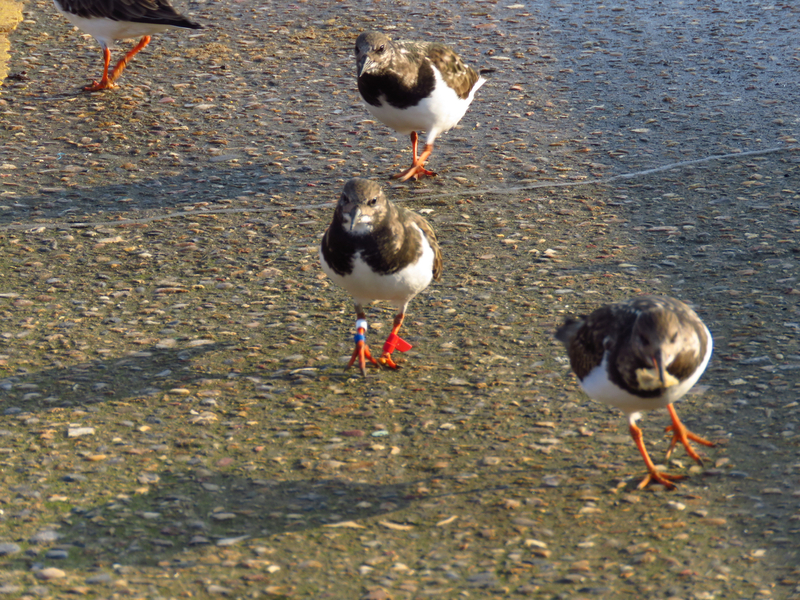 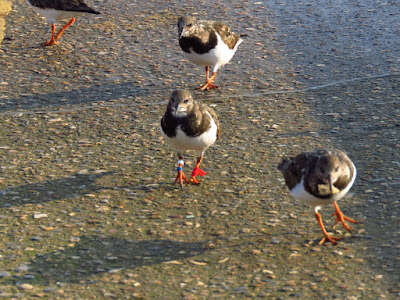 In the harbour the Turnstones behaved more like feral pigeons and were promptly handed in some breadcrumbs. 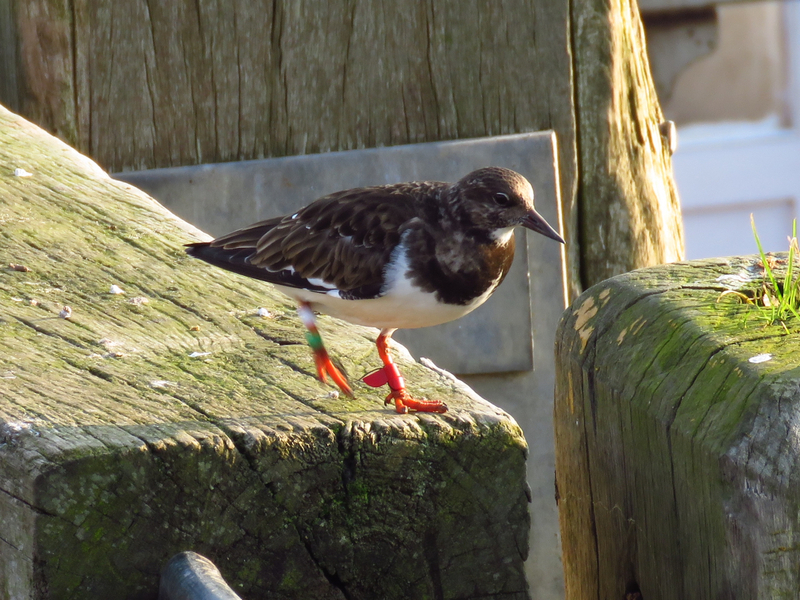 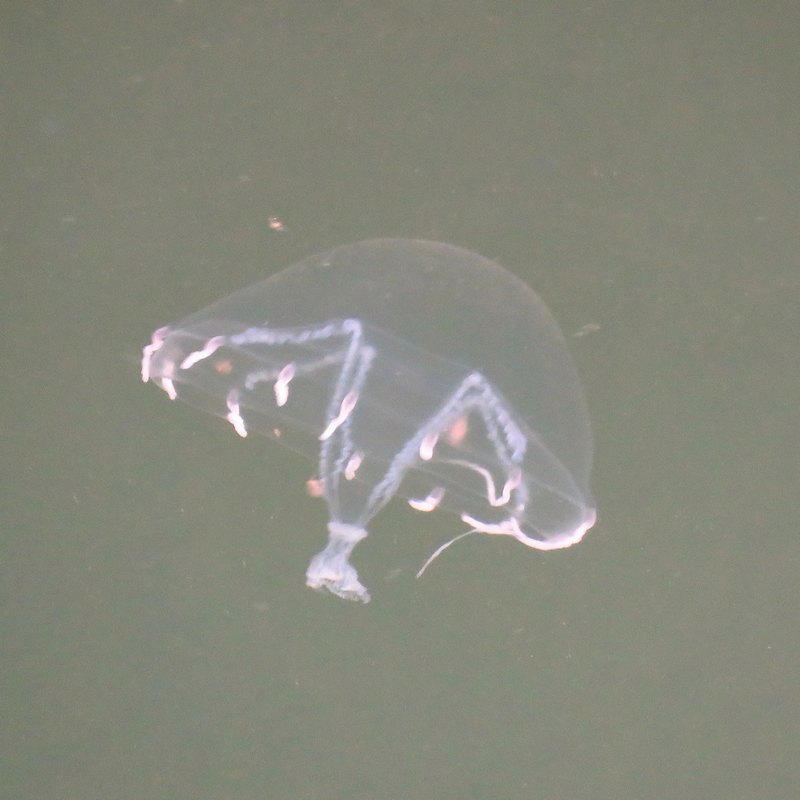 Several of them had colour rings. 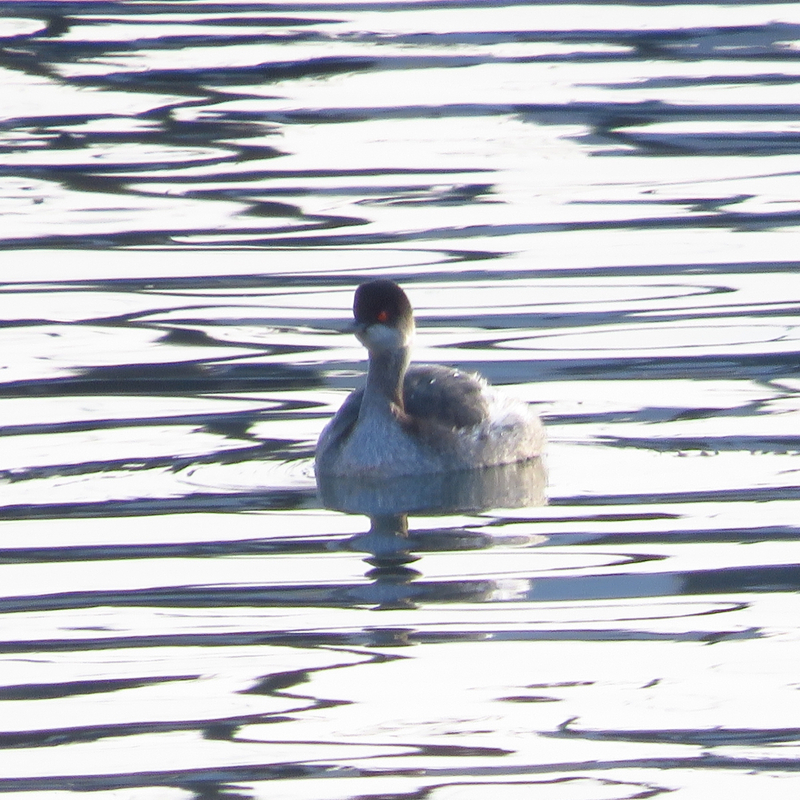 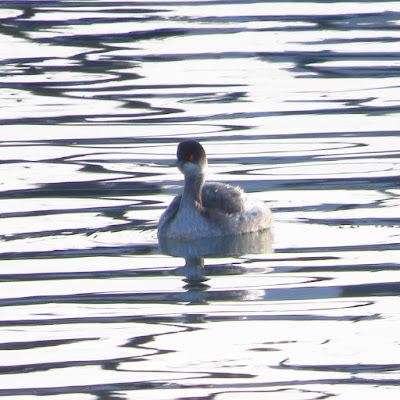 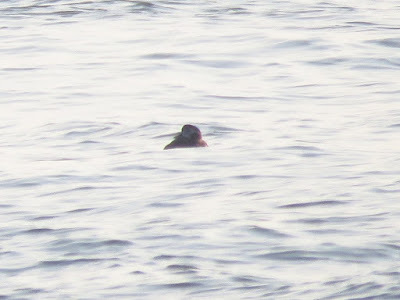 A Black-necked grebe and a Great Northern Diver were located. 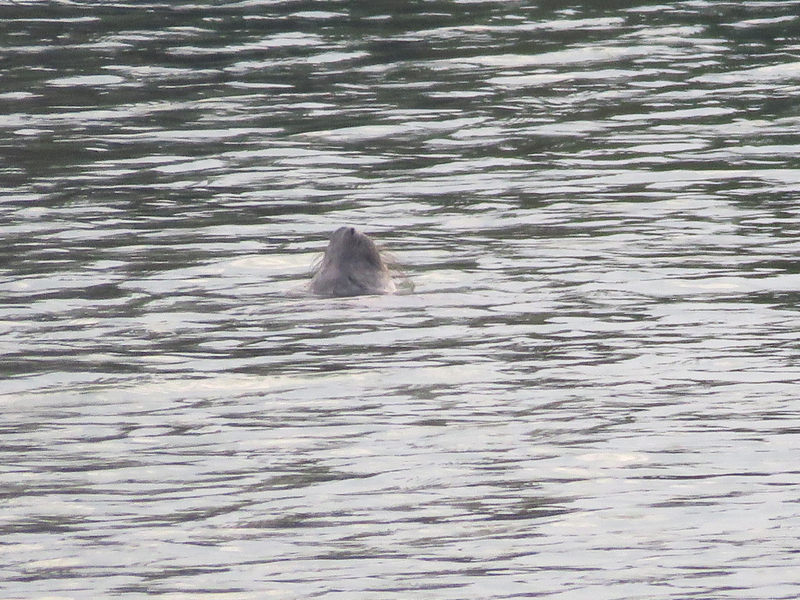 We also spotted a Grey Seal. 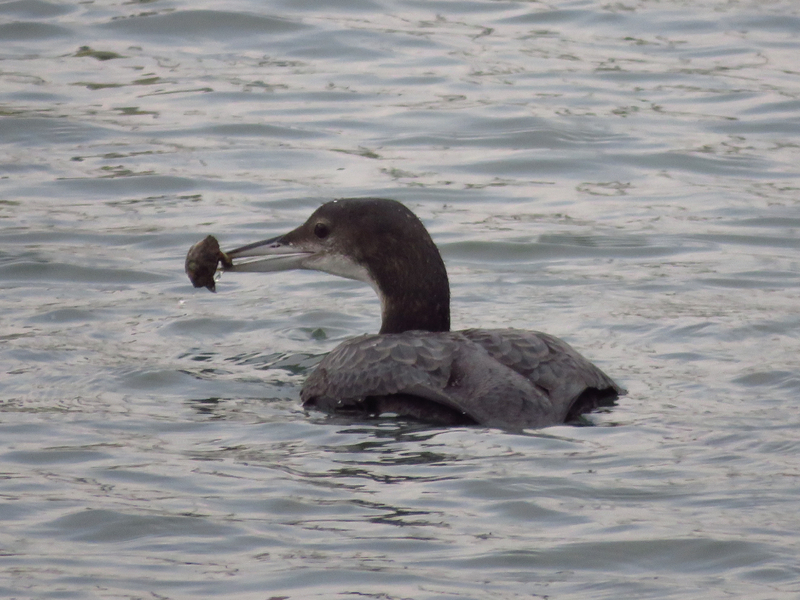 After lunch, we spent some time around the harbour and had great views of two Great Northern Divers fishing, one on each side of the harbour, one got a very large flat fish what couldn't swallow, but they had crabs and smaller flat fish. 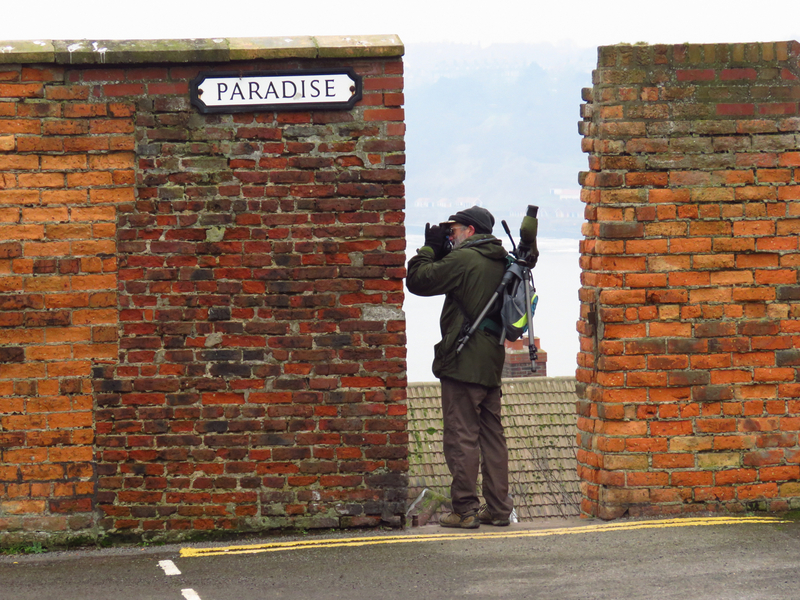 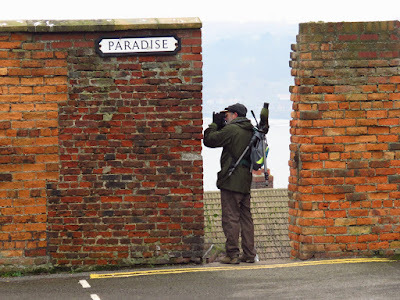 We went for a walk on the outer harbour wall and then to the castle wall to round up the trip, finishing with a total of 35 bird species for the day, including some spectacular ones and a great day overall. The very distinguished guests of the Scarborough Grand Hotel include some pairs of Fulmar. 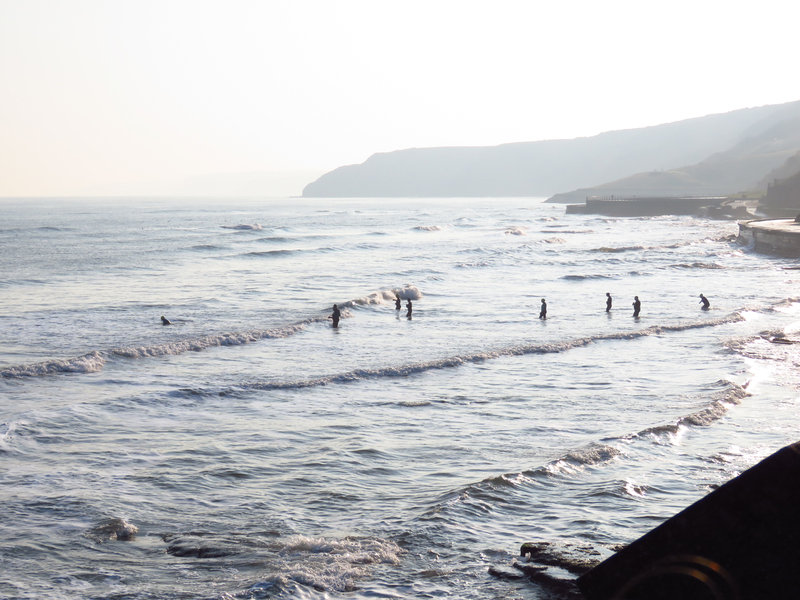 A few brave swimmers take to the sea. 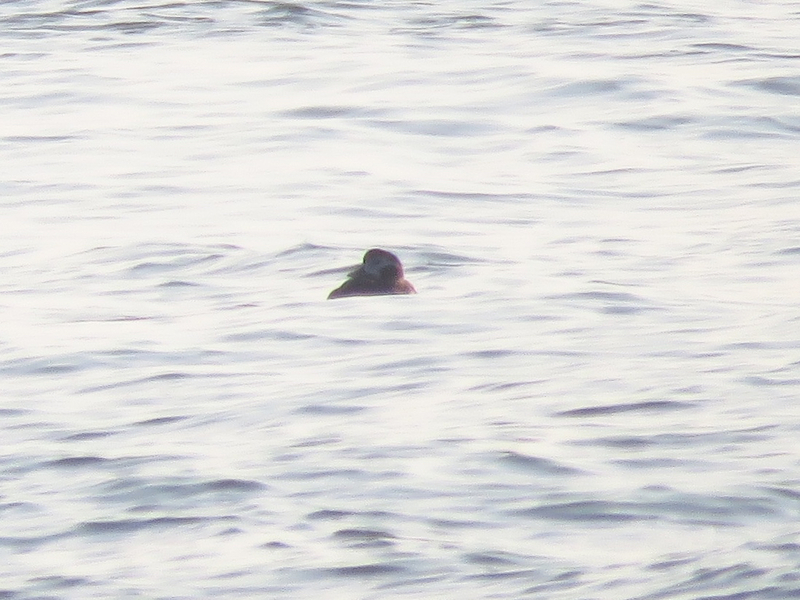 A record shot of a Long-tailed Duck. 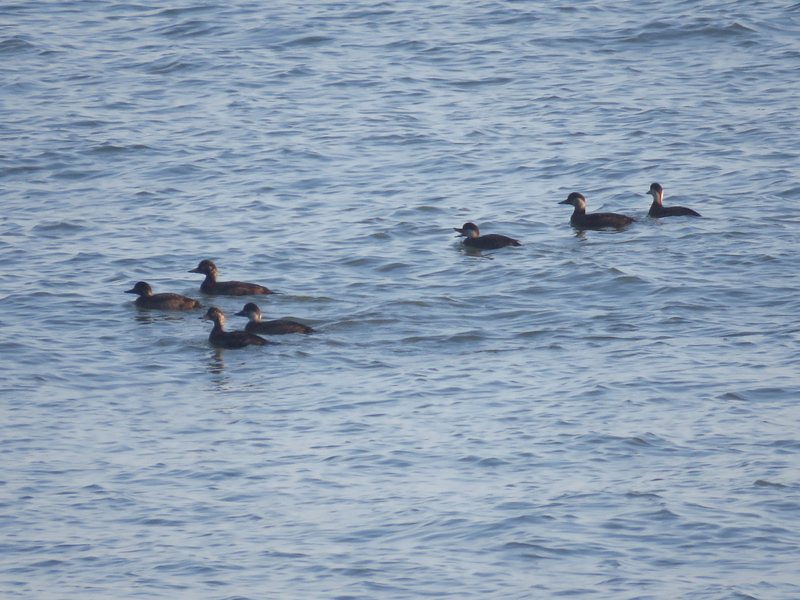 Part of a group of Common Scoters. Another distinguished guest enjoys the views over the bay. 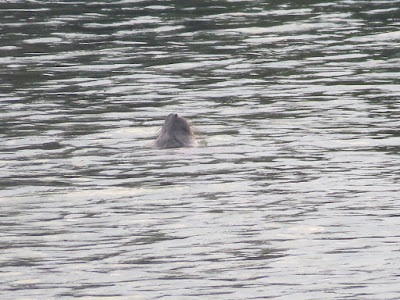 A Grey Seal emerges to breath at the harbour. 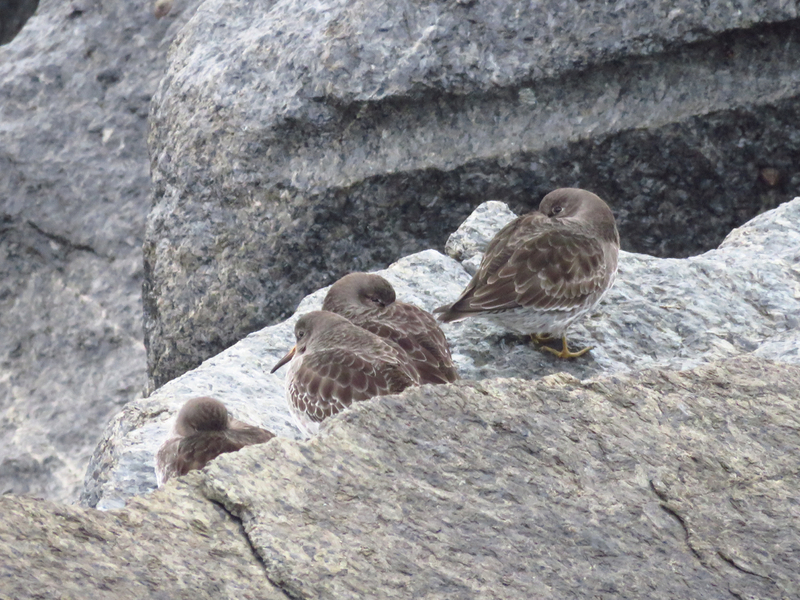 Purple Sandpipers in the outer harbour wall. 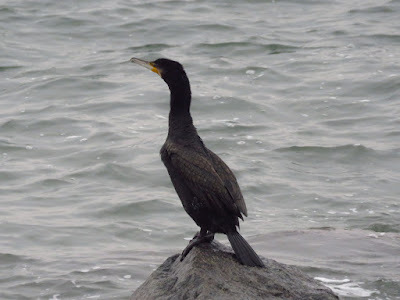 Cormorant on the outer harbour wall. 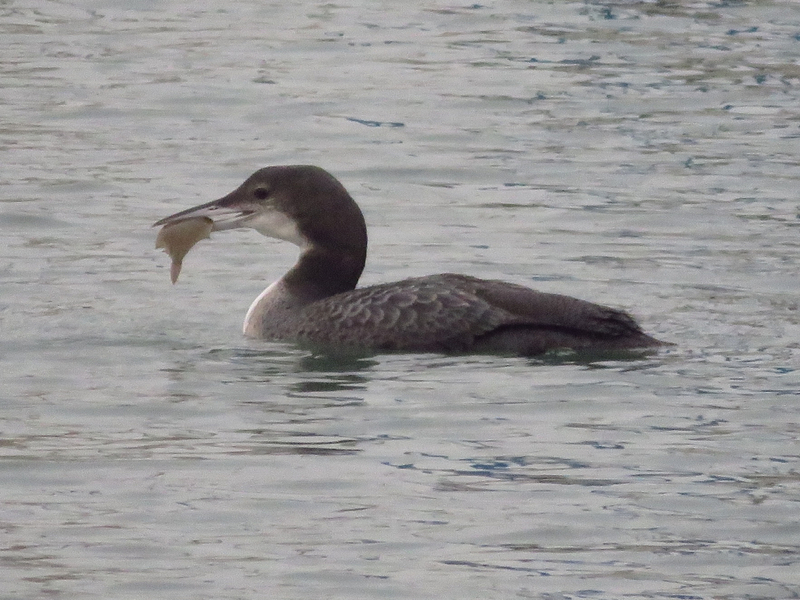 The other GN Diver with a flat fish. 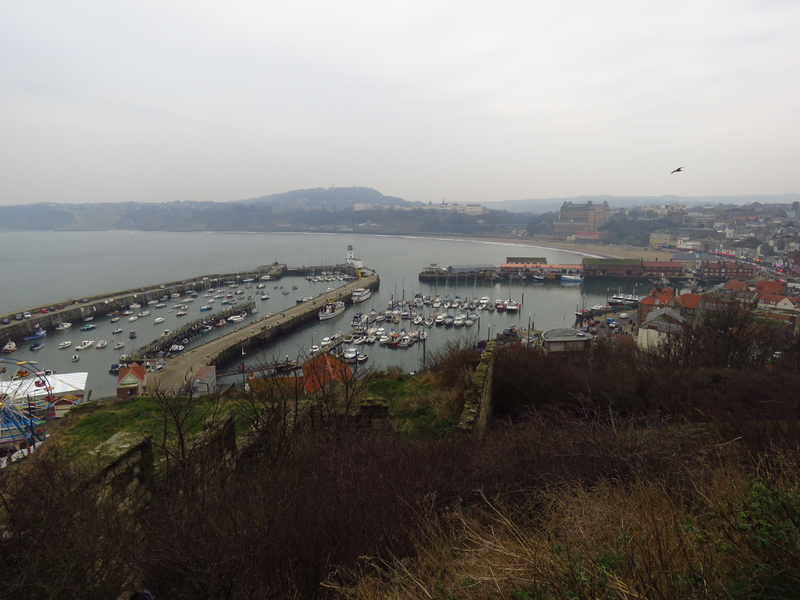 A view from the castle walls. 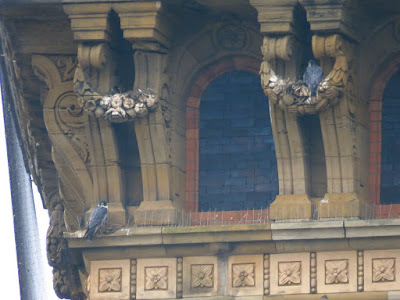 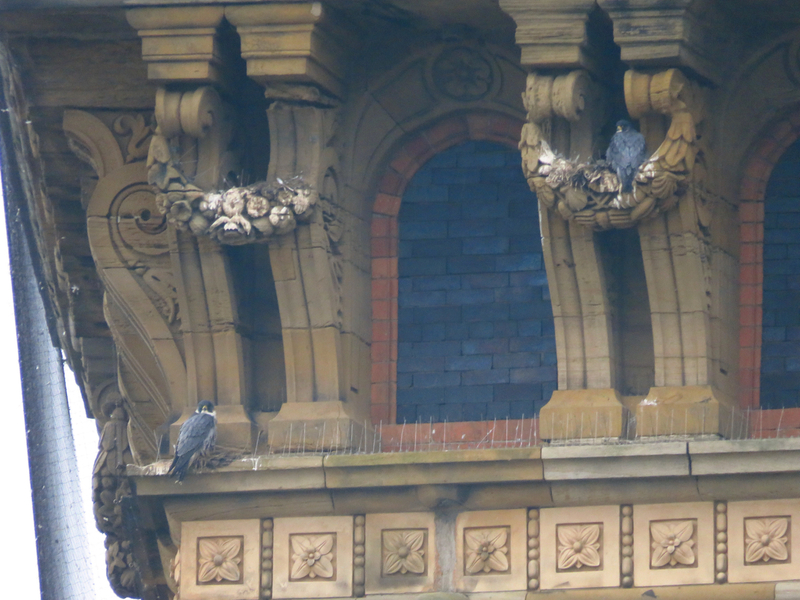 A good bye shot of the Peregrine pair.